Do songs randomly stop playing on your Google Home? Do they start playing fine but then keep pausing to buffer? Or maybe they play normally for hours but stop later in the day, or don't even start at all when you request them. There are a number of potential reasons why your Google Home device might stop playing music or won't start playing music at all, so a troubleshooting guide like the one we've created below is very helpful. Try every step below, from start to finish, until the problem is solved! Reboot Google Home. This should be your first step in fixing sound problems on your Google Home. You can either unplug the device from the wall, wait 60 seconds, and then plug it back in, or use the Google Home app to reboot it remotely. Follow that link above to learn how to restart Google Home from the app. Restarting should not only flush anything lingering that might be causing problems but should also prompt Google Home to look for firmware updates, one of which might be the fix for the sound issue. Is the volume turned down? It's pretty easy to accidentally turn down the volume on Google Home, in which case it might seem like the music suddenly stopped playing. Speak to Google Home to tell it to increase the volume, saying Ok Google, turn it up." Or, on the Google Home device itself, swipe your finger along the top in a circular, clockwise motion to turn the sound up. If you’re using the Mini, tap the right side. On a Google Home Max, swipe to the right along the front side of the speaker. For Google Home Hub, press the upper volume button on the back. Some users have reported that the Google Home will crash if it’s playing back music too loudly. Make sure to keep it at a reasonable volume. Check how many songs are in the album. If there are just a few, and you tell Google Home to play that specific album, it might seem like there’s a problem when really the album just doesn’t have enough songs in it to keep playing. Link the music service to Google Home if it’s not playing when you ask it to. Google Home doesn’t know how to play Pandora or Spotify music unless you link those accounts to the device. If the music service is already linked to your account, unlink it and then link it up again. Re-pairing the two can fix problems with Google Home playing Spotify or Pandora music. Rephrase how you talk to Google Home if it’s not responding when you ask it to play some music. There might have been a temporary problem when you first asked, so try speaking a little differently and see if that helps. For example, instead of Hey Google, play <playlist name>, try a more general Hey Google, play music. If this works, try the original way you spoke and see if it works this time. Whether you’re wanting to play Pandora, YouTube, Google Play Music, or Spotify music on Google Home, make sure you’re using those words appropriately, too. Add the service at the end to specify that kind of music, like Ok Google, play alternative rock on Spotify. Clear the cache on your music app. It's possible that the app itself is to blame for Google Home not playing music. You can usually do this through the app's settings. For example, if you're streaming Google Play Music from your phone to Google Home, tap Clear cache in the settings to delete all the temporary files it's storing on your device. In Spotify, select Delete cache in the settings. If you can't find a cache option, try deleting the app and then reinstalling it. This will erase any residual files that might have been causing music problems with Google Home. Does the music service only support playback on one device at a time? If so, music will stop playing on Google Home if the same account starts playing music on a different Home device, phone, computer, TV, etc. For example, Pandora music will stop playing on your Google Home if you start streaming from your computer at the same time it's streaming through Google Home. You can read more about that here. In fact, Spotify and Google Play Music only support one-device playback, too. The only workaround here, if it's even an option with that service, is to upgrade your account to a plan that supports simultaneous playback on multiple devices. Verify that there’s enough bandwidth available on the network to support music playback on Google Home. If there are several other devices on your network that are streaming music, videos, games, etc., there might not be enough bandwidth for music to play smoothly, or even at all. If there are other computers, gaming consoles, phones, tablets, etc. that are using the internet at the same time that Google Home is having troubles playing music, pause or shut down those other devices to see if that fixes the problem. If you verify that there’s a bandwidth issue but you don’t want to reduce the usage of your other devices, you could always call your ISP to upgrade your internet plan to support more bandwidth. Reset Google Home to remove any device links, app links, and other settings that you’ve customized since you first set up Google Home. This is a surefire way to make sure the current software version isn’t to blame for the music playback problem. You'll have to set up Google Home again from the beginning after restoring its software. Restart your router. Since it’s used so often for dealing with traffic for all your devices on the network, it can get bogged down sometimes. Restarting should clear out any kinks that are affecting Google Home’s ability to communicate with the router or internet. Factory reset your router if rebooting isn’t enough. 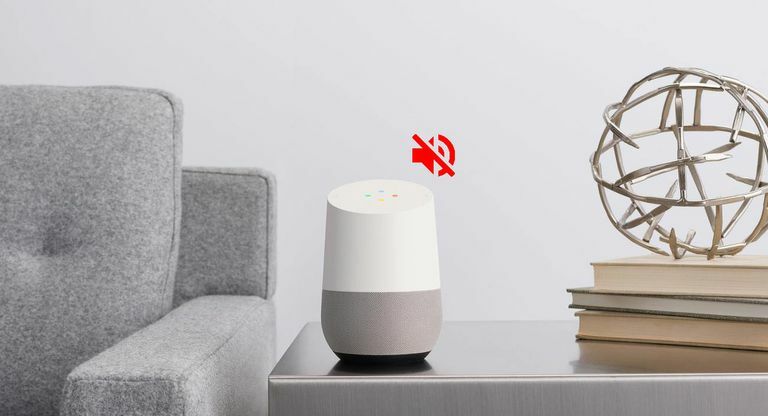 Some Google Home users have found that resetting the software on their router fixes whatever connectivity issue was to blame for music streaming problems on Google Home. Rebooting and resetting are different. Be sure to complete Step 10 before following through with a full factory reset. Contact the Google Home support team. This should be the last thing you try if you can’t get the music to play at this point. Through that link, you can request that the Google support team contact you over the phone. There’s also an instant chat and email option. We highly recommend reading through our How to Talk to Tech Support guide before getting on the phone with Google.